Security is one of the most important factors in most modern buildings. Installing security alarm systems in buildings is an excellent way to enhance security, but they have to be highlighted appropriately for people to know that the camera’s eye is watching them. Security Stickers fill this purpose most efficiently and present a great way to provide information to everyone about the video surveillance that is watching them. These surveillance decals are made from very rugged and longest lasting materials and can also be provided an anti-glare highly reflective quoting on top to make their writings and warning visible under any lighting situations. Go Stickers offer free shipping along with free printing and no added printing plates or cutting die equipment costs as well. Customized Security Stickers provide perfect opportunities for building security in-charge and owners to highlight their security alarm system efficiently. These stickers through their high contrast readable information help people realize that they are being watched at all times and tends to increase security for the buildings in the process. 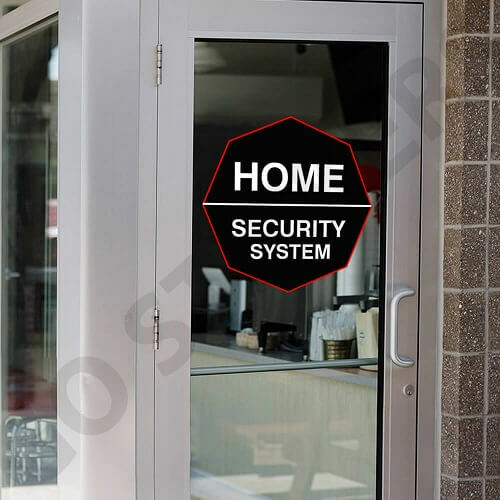 Home security stickers or commercial security stickers come in different shapes and sizes and are perfect to be displayed on potentially any flat surfaces. Go Stickers specialize in security decals of the highest quality materials and top contrast long-lasting printing that come with strongest adhesives that leave no residue or marks once taken off as well. Custom Security Stickers of the highest quality require the best combination of experience and skills in the stickers industry, Go Stickers have been providing reliable video surveillance window decals of the highest materials and printing quality for decades now and have developed all the required skills in order to tend to the most personalized needs for them as well. 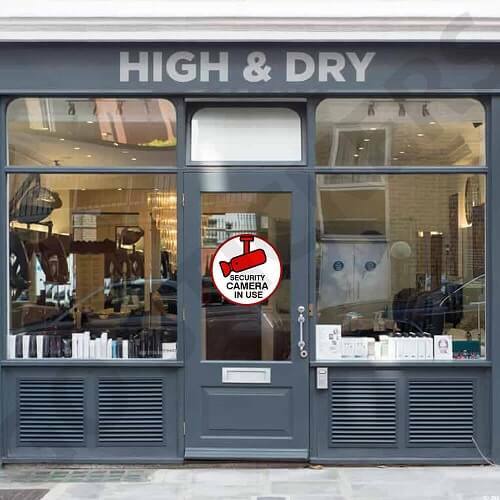 We provide security decals in all possible shapes and sizes that are perfect to be used on the widest range of surfaces including walls, windows, doors, tables or mirrors. Our custom stickers come at lowest bulk prices and yet provide highest quality benefits to our clients. 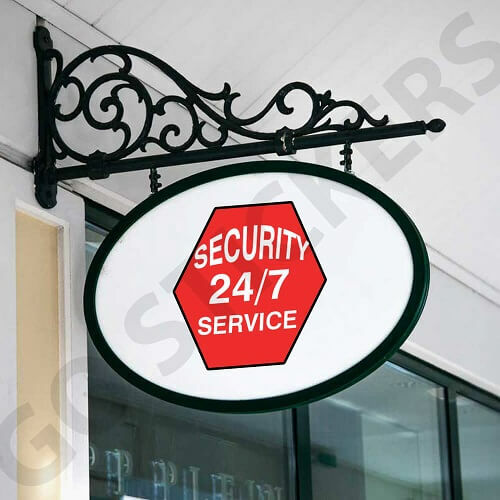 For custom stickers resellers looking for best quality reliable Wholesale Security Stickers, Go Stickers provide the best suitable solutions. We use our most efficient and well-developed raw materials sourcing and processing channels that guarantee cheapest unit costs for us and the ability to offer best bulk wholesale prices for our sticker products as well. Regardless of the size or your order, Go Stickers will provide best quality and on time delivery at the most attractive profit margin enhancing wholesale prices. Go Stickers realize that the primary purpose required from the Custom Security Stickers is to highlight the presence of security and alarm systems in the building, which is most efficiently achieved through the clearest and reflective printing on custom stickers that is visible in the lowest of lighting conditions as well. We use the highest quality inks with reflective properties that will keep their good as new shine and reflective quoting for the longest time possible. 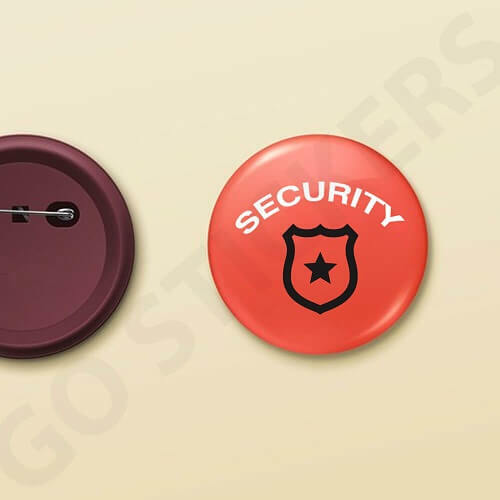 Additionally, we offer free highest quality printing designs help that aims to ensure the most appropriate designs for your security alarm decals. Custom Security Stickers are only as good as their designs. Go Stickers have the most advanced cutting die equipment that not only can cut all the required sizes for our custom stickers but also die cut them in finest detailed finishes as well. Additionally, we use the most durable and most reliable adhesives in our security decals as well that enables them to provide the longest lasting flattest stick for that while as well. If you are looking for the most profit enhancing lowest wholesale prices for customized Security Stickers that offer the highest material and adhesive qualities as well, you cant go wrong with Go Stickers. We aim our sticker products to wholesale resellers and provide the lowest prices along with highest quality products. Avail our free shipping, and free printing offers on bulk orders along with no additional charges for the printing plates or the cutting die equipment.